842 Hou's Back is a 5X PBR Finals Bucking Bull, an ABBI Maturity Money Earner, an ABBI Classic Money Earner, an ABBI Derby Money Earner, and an ABBI Futurity Money Earner! He won at every level possible! 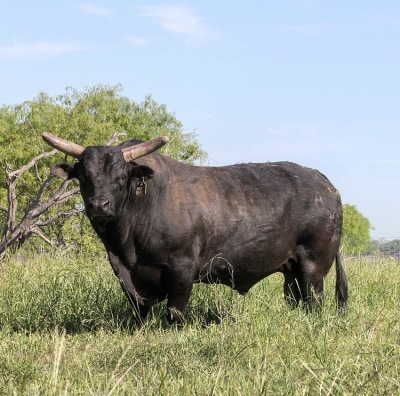 Hou's Back is sired by 36 Backlash, the great Broke Back V son that has sired more great bulls and females than we can count. His dam, Floyd 42, is a daughter of Houdini which is the most prolific sire in the industry! Hou's Back calves have been nothing short of phenomenal. One of his top sons, 874-C Hou's Hott, is an ABBI Futurity Champion who has over $40,000 in lifetime earnings! Hou's Back has multiple other sons who have gone to do big things. Some of those include: NFR Bucking Bull 226 Hooey, TM 07-D Hou's Counting (Futurity Champion), TM 244-D, TM 874-D, TM 73-D, and TM 70-D Crooked Politician, who are all futurity money earners as well! You are bidding at a PER STRAW price. Buyer can take one straw and up to two. The bidding for this elite offering will close at 8:30 PM CST on Monday, April 8, 2019.